1. Cost – like any hardwood floor, oak floors are also expensive, hence when you think about installing them, it is natural that you think about the cost that you would have to incur in the process. 2. Where to install – the layout of the house or the office where you are planning to install the oak floors do matter. You have to be aware of the fact that oak floors in particular and hardwood floors in general, have to be installed over the subfloor. That is why it becomes a little expensive to install such floors and moreover, you would not be able to use them over concrete directly. 3. Moisture sensitivity – hardwood floors like oak are sensitive to moisture and that is the reason why they cannot be used in areas where moisture is present, like basements, because the wood tends to expand. Humidity change is also responsible for all the squeaking sounds you would hear. 4. Choose the finish you want – when buying oak floors, you can also choose the finish you want for your hardwood floor, like oiled, unfinished or lacquered. Though it goes with your taste and choice, a little credit has to be given to your decor and the lighting conditions to influence your choice of finish. If you are the kind who does not like to wait for the finish on the floor, you can go for factory finishes for quicker installations. 5. Longevity – like any other solid wood floor, oak floors can also be sanded or refinished for longevity. If you are looking for the flooring option that will last you ages, this is it. 6. The grain – this point is an added advantage with oak floors. When you get the grain of oak flooring, you would shy away from using your carpets to cover them up. Instead you would be the one showing them off. 7. The look you want – the decisive factor in selecting the hardwood floor you want, should be the look you want. Is it a traditional look that you are trying to flaunt or a modern look, you have to be the best judge of that and decide which option does justice to that vision of yours. 8. The footfall – also consider the room or the rooms where you would be installing the oak flooring. Will it work with children, pets or may be family members who are indisposed and need to resort to the wheel chair. 9. 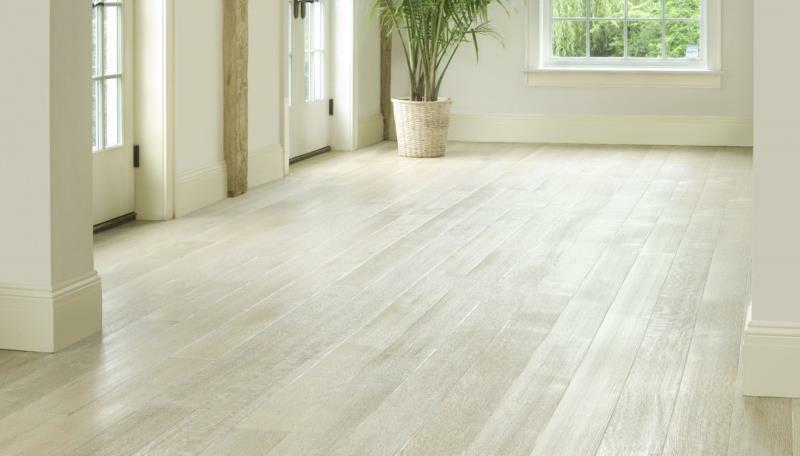 The height of the room – when installing oak floors, this factor needs to be taken into account because hardwood floors such as oak come in a variety of thickness and after fitting, the overall height of the finished floor will change. 10. Fungal attacks – a wood flooring option such as oak is a natural deterrent for any kind of fungal and insect attacks, which means that, choosing oak floors are an option that guarantees longer life of your floors. Flooring Cottage will awe you with options in hardwood flooring that will not only be a pioneer in the way your home or office looks but also fill it with unparalleled beauty and warmth.